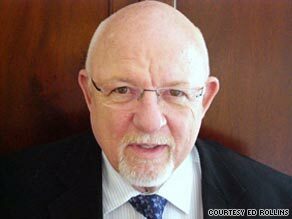 Ed Rollins says Barack Obama was nominated for the Nobel Peace Prize as his presidency was just beginning. NEW YORK (CNN) -- Congratulations, Mr President. I always want the home team to win, whether it's in the Olympics or in any other international arena. Yet I don't know what you have to do to win this award. In this case, the president was picked as the winner before he had to do much of anything but make a lot of promises for the future. This is like winning the Most Valuable Player award in the National Football League after the third game of the season based on potential. He certainly has talked a game that many around the world like better than the Bush foreign policy agenda. Whether it works out, we will have to wait and see. The president was nominated for this award 11 days after he was inaugurated. The deadline for the Norwegian Nobel Committee's nominations was February 1. From 200-plus nominees, the committee narrowed the nominees to a short list of five to 20. He did have a great election and a very exciting inaugural, but I'm not sure it did much for world peace. The candidates on the short list were then considered by the Nobel Institute's permanent advisers, which include the Nobel Institute's director and research director, and a small group of Norwegian university professors. In his will, Swedish industrialist and inventor Alfred Nobel said the Peace Prize should be awarded "to the person who shall have done the most or the best work for fraternity between nations, for the abolition or reduction of standing armies and for the holding and promotion of peace congresses." Well at least a few Norwegian faculty members like what this president has to say and I guess are betting on the future. We're betting on the future, too. He now has the award. Let's see if he can earn it! I just offer as a word of caution that the two sitting presidents who won this prize before Obama ran into trouble on the domestic front. One of my heroes, Teddy Roosevelt, left office as the most popular man in the country. Four years later, when he tried a comeback, he couldn't win the nomination of his party. He then ran as an independent and split the vote with his successor, William Howard Taft, allowing Woodrow Wilson to narrowly win the presidency. Wilson, the last sitting president to win this award, died a broken man who became incapacitated by a stroke as he was trying to get the U.S. Senate to pass his League of Nations proposal. Sometimes, winning the Nobel Prize is the highlight of a presidency. In this case, we hope it's just the beginning. It's worth thinking about Roosevelt's words when he accepted the Nobel Prize: "Moreover, and above all, let us remember that words count only when they give expression to deeds, or are to be translated into them."